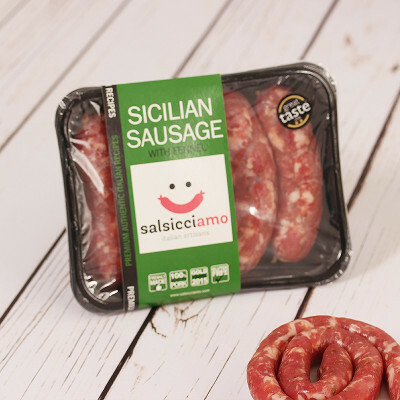 Even among picky Italians, Sicily is famous for the quality of its products. 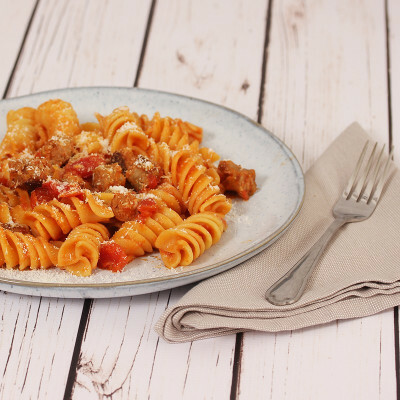 We have put together this gift box with a perfect recipe for one of our favourite Sicilian dishes: Sausage and Cherry Tomato Pasta. The hamper is available with the option to add a bottle of Nero d'Avola IGP Terre Siciliane 2016 by Nino Gandolfo, a ruby red wine from Sicily with hints of flower, that has been specially selected to work well with this recipe box.